2. 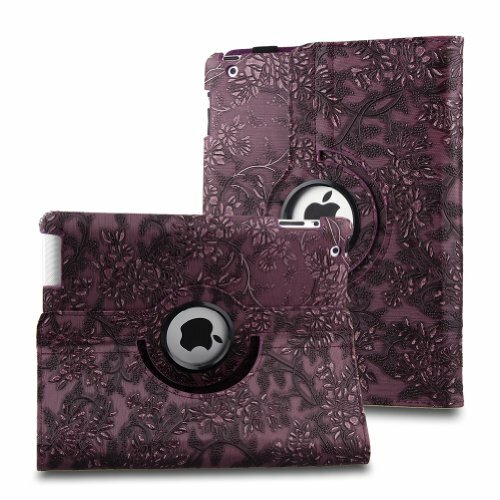 Feature a unique design with 360°swivel that allows the ipad Air to rotate in portrait or landscape position while in the case. 3. The center of the swivel is open so that Apple logo is clearly exposed. 4. High quality polyurethane leather exterior with dual layer hard interior cover provides complete strong protection. 5. 3 convenient stand positions for easy typing and viewing movies. 6. Microfiber lining protects iPad screen from scratch . 7. Full access to all functions while in the case. 8. Easy & quick installation: snap on left part of iPad Air, then right.